Overuse – Repeated bending of the knee while running, working out or otherwise engaging in exercise will often irritate the nerves of the kneecap for no apparent reason. Overstretching – While a cherished tradition of the athletic community, stretching is not always as beneficial as thought. 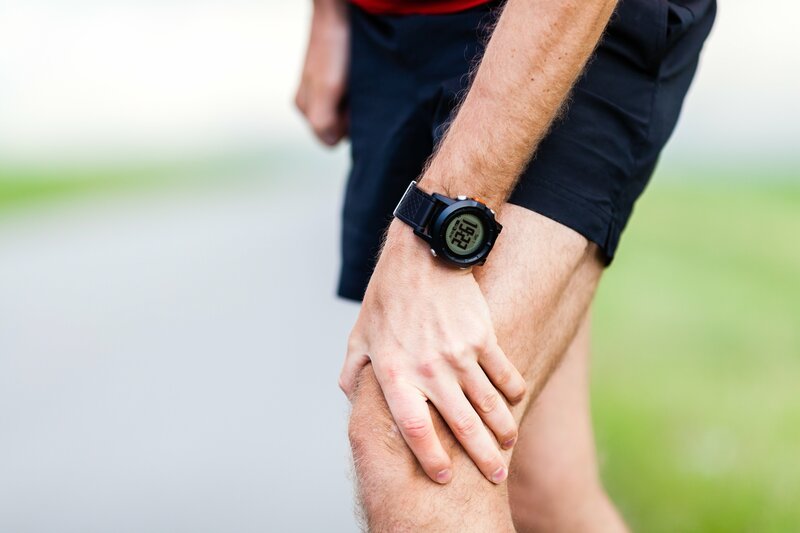 In particular, abusing tendons – the tissues that connect the muscles to the bones – by overstretching can result in an inflammation in the knee. Trauma – A severe fall or blow can damage otherwise healthy tissue leading to recurrent, idiopathic pain throughout the joint. Misalignment – The luck of the genetic draw sometimes leaves an individual with one or several bones out of their optimal position. These misaligned bones cause pressure and other physical stress to be distributed unevenly throughout the knee joint. Over time, damage is caused and pain results. Foot Issues – Similarly, pronation or more familiarly, “flat feet,” is another congenital condition that places undue stress on the knee joint. As the extremity impacts the ground, the “fallen arches” of the foot collapse more than is necessary thus overly stretching the muscles and the tendons in the joint. As you can imagine, the symptoms of runner’s knee involve pain in and around the joint where the thighbone and the kneecap meet. More specifically, the patient will describe a general joint pain when simply bending the knee – whether they are simply walking, attempting to sit or kneel or are engaged in squatting and other more vigorous types of exercise. 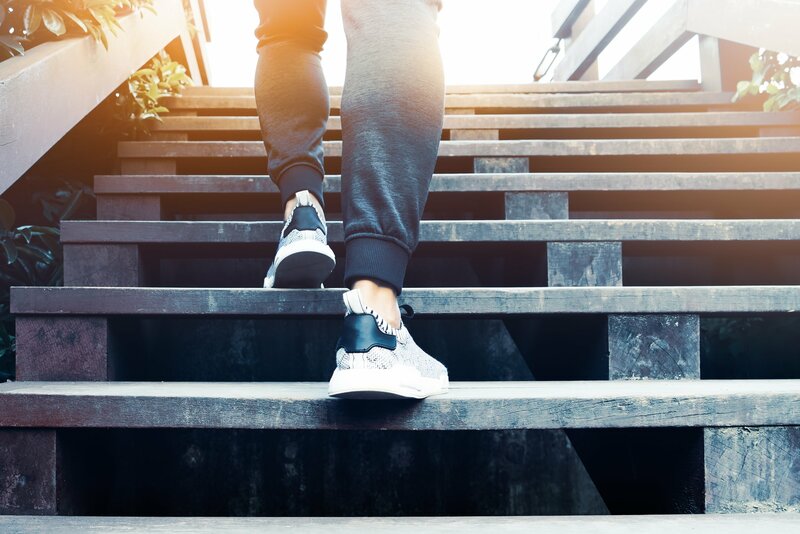 In addition, the pain in the joint is usually more extreme when the victim is walking down a flight of stairs or even a small downhill incline. Finally, victims of runner’s knee commonly experience swelling in the affected joint – by the way, it is not at all uncommon for only one joint to be affected – as well as a popping noise or grinding sensation when the joint is in use. Standard techniques for diagnosing runner’s knee include a thorough physical exam of the area including manual manipulation of the joint. As mentioned above, runner’s knee falls into two distinct categories. 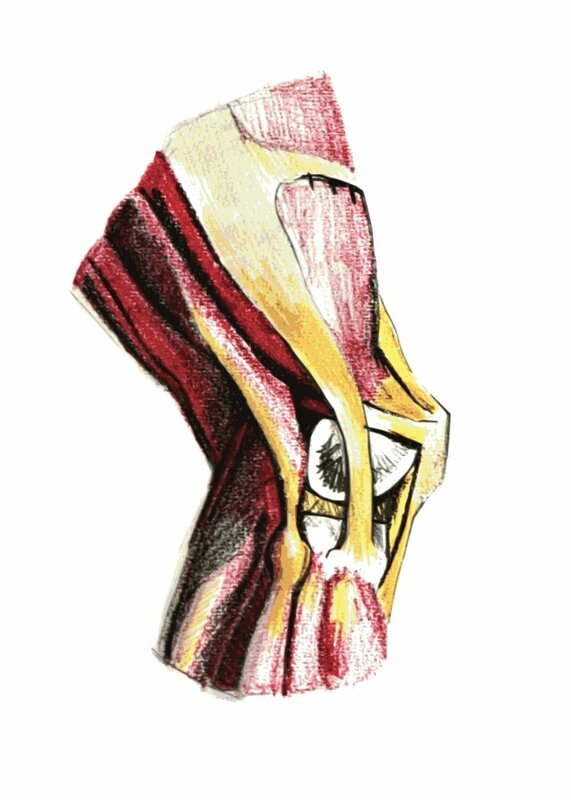 Patellofemoral syndrome is indicated by pain specifically in the kneecap while iliotibial band syndrome causes distress along the side of the joint. The former is more painful ascending stairs and inclines while the latter hurts far more when moving downhill. 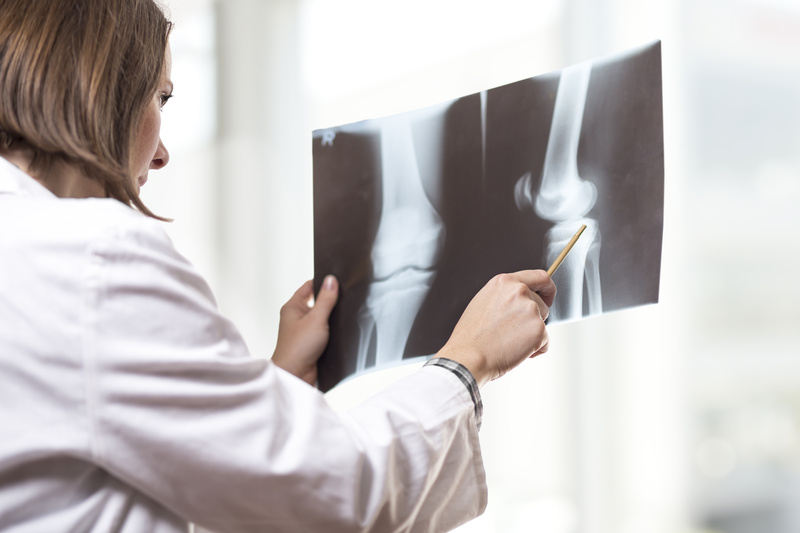 Once the doctor appraises the general condition of the joint, he will most likely order a battery of tests to better understand the nature of the injury. These additional tests may include X-rays, magnetic resonance imaging or computerized axial tomography. These tests in addition to the the history of the patient and their activities will, in most cases, reveal the true extent of the problem. Extended Rest – As with any repetitive stress injury, eliminating the actual stress is paramount – even to the point of placing no weight on the joint. Athletes and exercise addicts may not want to face the truth but allowing the joint to heal is the best, most effective treatment. It is also recommended to keep the joint elevated when resting. Apply Ice – The swelling of the knee joint, though your body’s way of trying to minimize any damage, produces it owns stresses – including pain! The judicious use of ice is one way to ameliorate this situation. An ice pack applied every four hours for 20-30 minutes is the best course of action. Use Physical Compression – Similarly, elastic bandages can slow the excess flow of blood and other fluids into the affected area and help the healing process. One note of warning, these compresses can get rather comfortable but do not leave them on overnight. Consider Anti-Inflammatory Painkillers – There are several name-brand and generic non-steroidal anti-inflammatory drugs (NSAIDs) available that will help with pain and swelling. Consult your physician for which one is best for you.